Reviewers have limited uses. One is that they are supposed to know the right words to use at the right time. So the best word to use on the ability of the arts in Wales to project themselves is hopeless. This is applied in a broad brush way and is not applicable to the skilled communicators, the most outstanding of whom is an exemplar not only in Wales but stands alongside the very best in Britain. 2018 is turning out to be the most surprising of years for Wales' theatre. One aspect is the role played by the new arrivals. 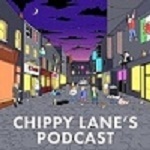 All praise to Chippy Lane not just for filling Theatre 503 now and then but for broadcasting these lively features, delivered in a fresh and spontaneous manner. The introduction is comprehensive: Unicorn, Arcola, Sherman, fiddle and other instruments, capoeira, “My Name is Sue”, “Bloody Ballad”, 2013 the founding of Gagglebabble, Radio 4, West Yorkshire Playhouse, Clean Break and the RSC. The conversation is not as polemical as that with Tim Price. These are selected moments- but listen to the whole thing. The conversation at 13:57 lands on the deficiencies of reviewers. In defence of Theatre-Wales the reviews have never moaned that they could not categorise Gagglebabble. 32:44: Jordan Bernarde- “I have to be careful how I word this” and following.